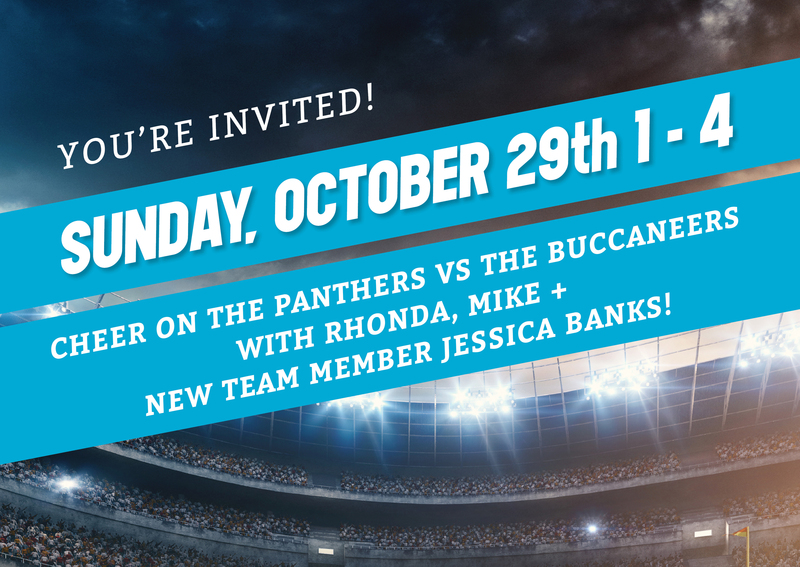 Come join us on Sunday, October 29th from 1 – 4 to cheer on the Panthers vs the Buccaneers! We’ll have beer for the guys, wine for the ladies, a bouncy house for the kids and chili for everyone. Plus, we’re giving away TWO tickets to the Panthers / Vikings game on December 10th!